Couching this in strong terms: Delusional. 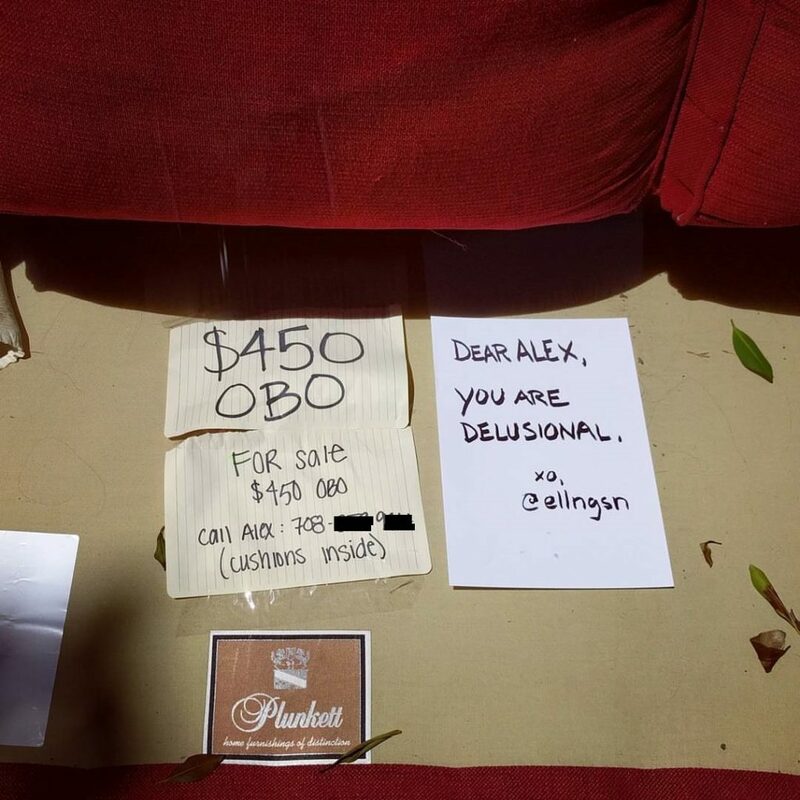 If trying to offload your slobber-stained mattress through NextDoor wasn’t bad enough, a guy named Alex is hoping to sell his couch for a tidy sum after abandoning it at 15th and Dolores streets. 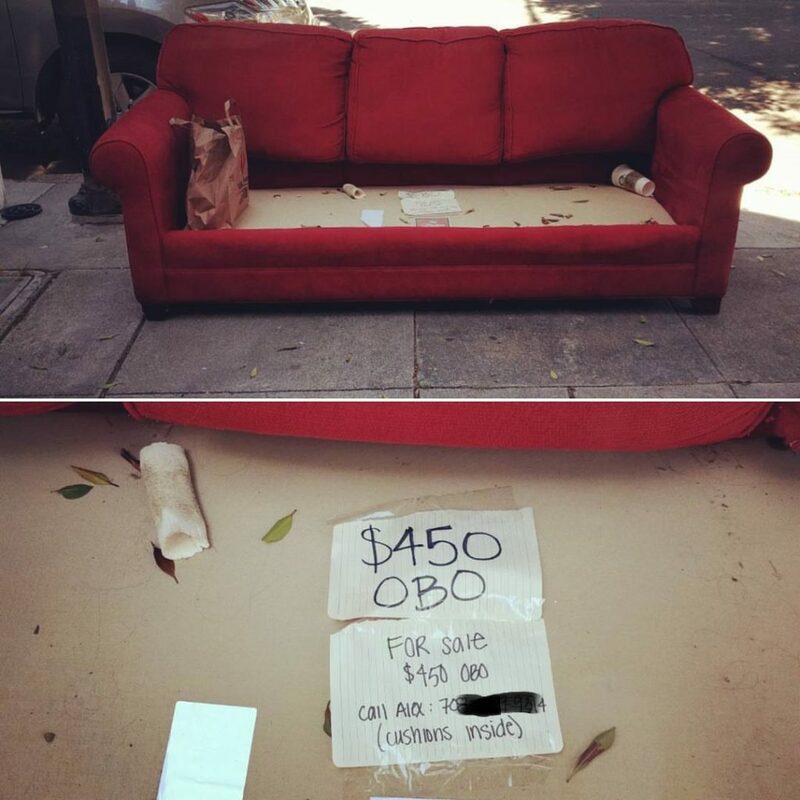 A sign taped to the furniture requests a mere $450 in exchange for the bright red sofa’s currently missing cushions. Friend of CSC Josh said the couch has been there for days before he added his own commentary on Monday. Unbelievable offer aside, I’m going to guess the couch is still available – and properly seasoned. 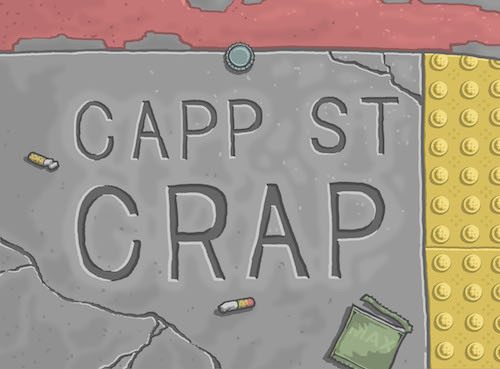 This entry was posted in WTF?.